Our guide to the NSW Seniors Card including the benefits it provides, eligibility requirements and how you could apply for one. Introduced by the NSW Government in 1992, the Seniors Card offers NSW permanent residents who are 60 or older (and meet certain criteria) discounts on goods and services, cheaper public transport, holidays and in some cases, cheaper utilities. The card’s website bills it as a way for older citizens to live “healthier, happier, more active and affordable lives in retirement”. 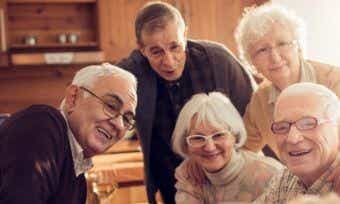 According to the NSW Government, approximately 90% of seniors in the state hold one and over 5,600 companies are partners of the program (as at February 2018). What does the NSW Seniors Card offer? The NSW Seniors Card entitles holders to a whole slew of benefits, including discounts at participating stores and cheap public transport via the gold Opal card. What kind of discounts does a NSW Seniors Card get you? Some of the more notable businesses that offer discounts to card holders include Woolworths, AGL and Vodafone. A NSW Seniors Card may also entitle you to ‘reciprocal benefits’ in other Australian states, meaning you may be able to use your card around the country at participating businesses. What’s a Gold Opal card? Opal Cards are pre-paid smart tickets used to pay for public transport in NSW, similar to Queensland’s go card, Victoria’s myki, and WA’s SmartRider. Travel costs booked using the Gold Opal card are half the regular adult fares and capped at $2.50 a day. Who is eligible for a NSW Seniors Card? How do I apply for a NSW Seniors Card? If you meet all of the above requirements, you can apply online for a NSW Seniors Card here. The process is relatively straightforward and doesn’t require any complex details other than those displayed on your Medicare card. While having a NSW Seniors Card could help you save money in retirement, it’s still important to think about how your super may help support you during this period. You can compare different super funds with Canstar to find the best one for you. Boost Housing Supply By Encouraging Seniors To Downsize? 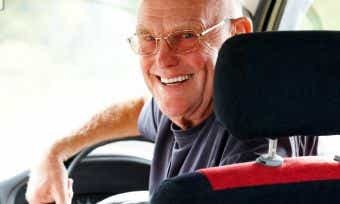 Car Insurance For Seniors: What Are Your Options?